As a world-leading facilitator of space programs, SSC enables governmental agencies, companies and other commercial or research institutes to make better use of space. 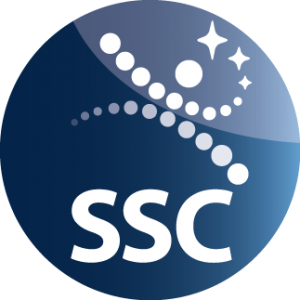 The shared name of our Group of companies, SSC technologies and services enable successful space projects for the telecommunications, security, meteorology, positioning, scientific research, remote sensing or other industries. Through the unflagging efforts of our 650 employees, we provide specialised competence in space systems, space and satellite operations, rocket and balloon systems, launch services, flight test services as well as maritime surveillance. Supporting customers with local presence on all continents, we offer extensive application-specific solutions comprised of systems, sub-systems, instruments, technology, and support services. Our 40 years of experience make SSC one of the most experienced and established businesses in our field. We help customers gain new understanding of the potential resources in space – as well as to utilize space for the benefit of business and mankind on Earth.